Andrea Noble and S.A. Miller at the Washington Times offer a piece on the gunman who opened fire on Congressmen in Alexandria, Virginia. The gunman killed after opening fire on a congressional GOP baseball team practicing in Alexandria, Virginia, on Wednesday was the same man who approached the baseball field earlier to ask whether the players were Republicans or Democrats, according to a congressman. Rep. Jeff Duncan said James T. Hodgkinson — the 66-year-old Illinois man identified as the gunman — had approached and asked him about the party affiliation of the players as he and fellow Republican Rep. Ron DeSantis left the practice just prior to the shooting. President Trump broke the news Mr. Hodgkinson had died from his injuries as he spoke from the White House on Wednesday morning. Details about the suspected gunman were just beginning to emerge Wednesday, as the FBI and law enforcement officials conducted a search of his home in the St. Louis suburbs of Belleville, Illinois. 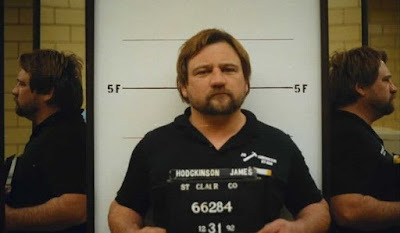 More than a decade ago, Mr. Hodgkinson was arrested for domestic assault but more recently was the subject of a complaint about gunfire outside his rural Illinois home. It was unclear what motivated Wednesday’s attack, which witnesses described as a minutes-long gun battle between the shooter and Capitol Police and Alexandria police officers. The shooting occurred as Republicans practiced for an annual charity baseball game scheduled for Thursday, and sent members of Congress, staffers and even children hiding in a dugout or running from the baseball field. Five people, including Rep. Steve Scalise, two officers, a congressional aide, and a former staffer were injured.